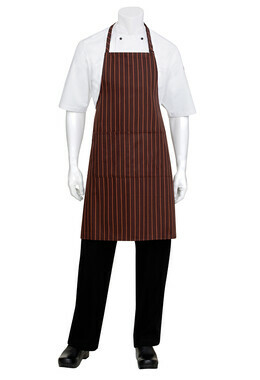 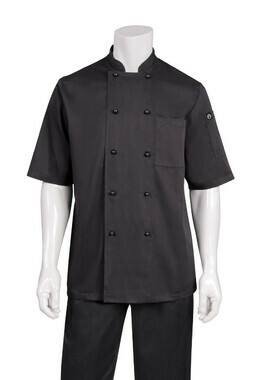 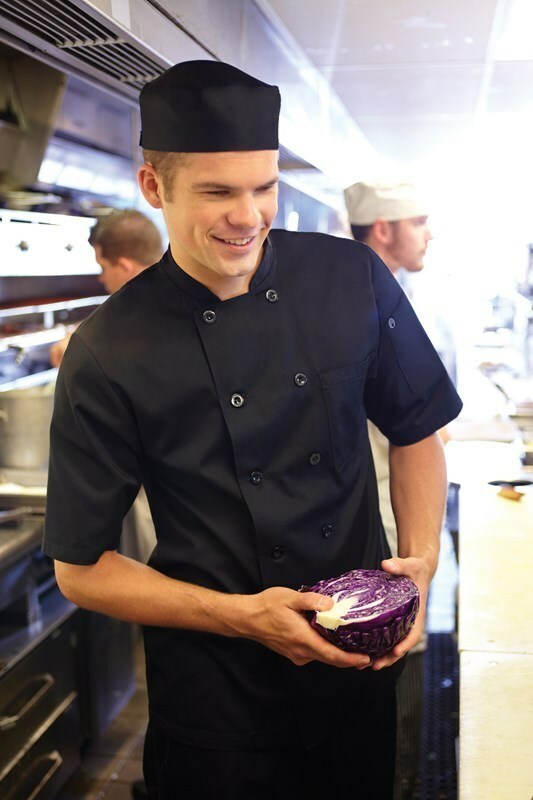 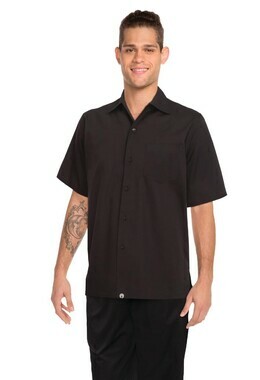 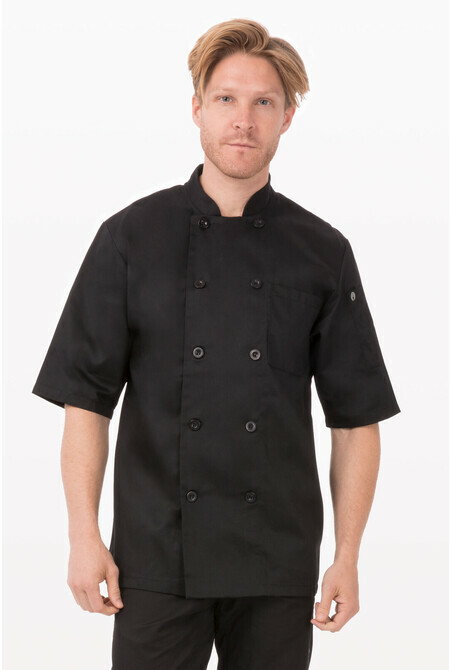 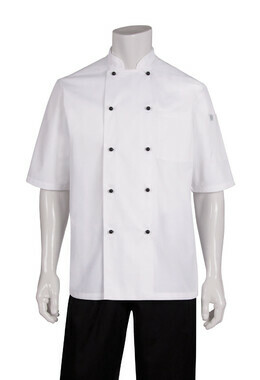 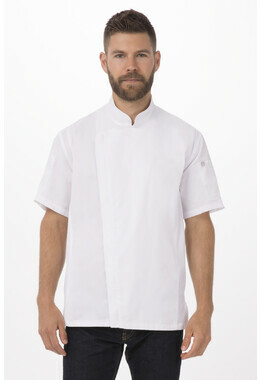 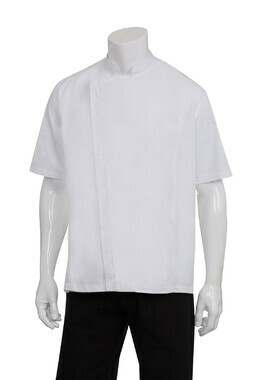 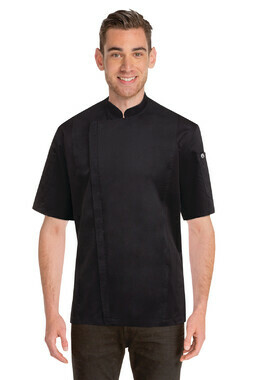 This Chambery Black Basic Chef Jacket is constructed with poly/cotton fabric and designed to handle the most heavy culinary environments. 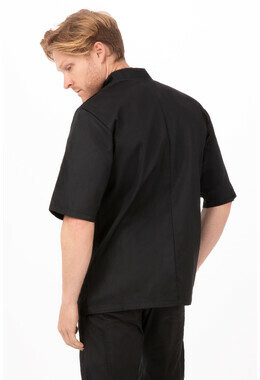 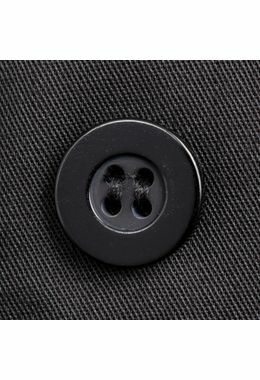 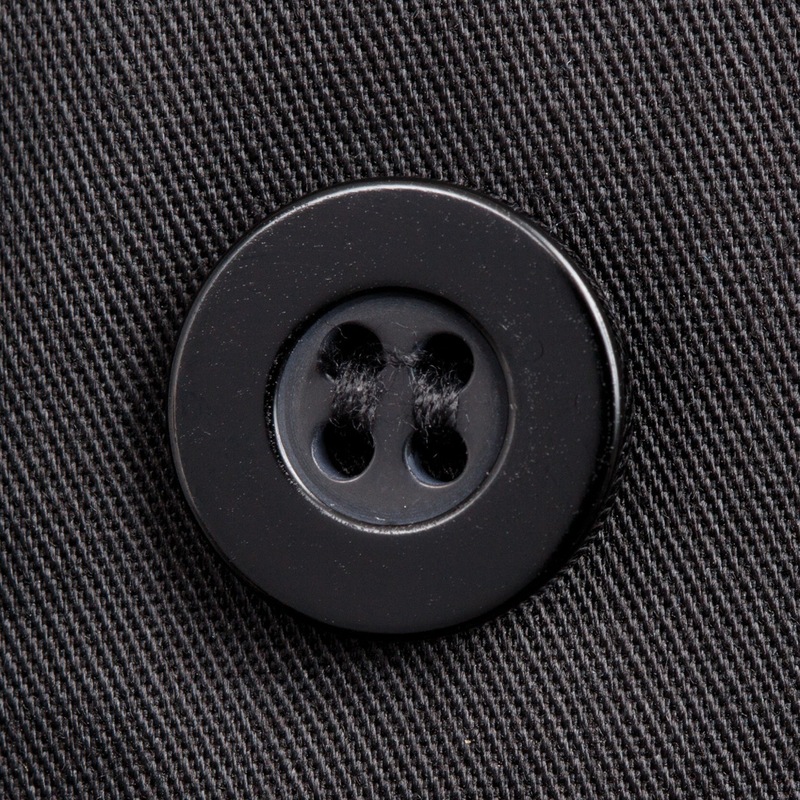 With short sleeves and Black Pearl buttons, this jacket is designed to look sophisticated at all times. 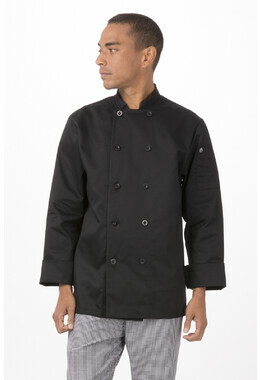 This jacket is built double-breasted with a left chest patch and a thermometer pocket.